COMPLIMENTARY WITH EVERY PURCHASE ONLINE AND IN STORE THROUGHOUT NOVEMBER! 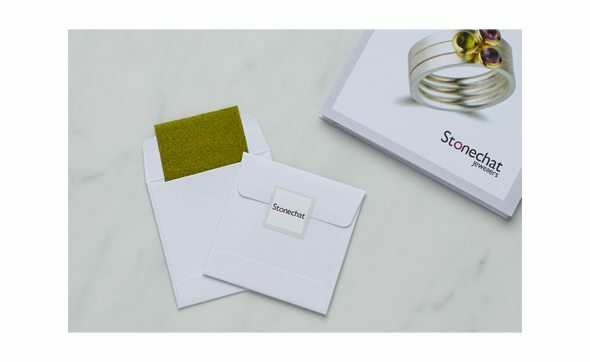 We handcraft jewellery to last and we want to you get great wear from each piece of Stonechat jewellery you own. Every now and then your jewellery needs a little love and attention. We have created the perfect little kit to help you keep it looking its best at all times! 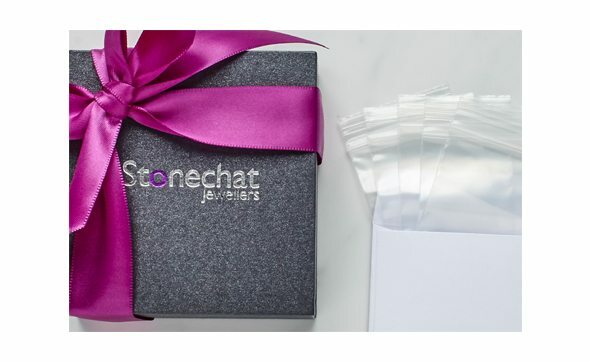 Working from the outside in, your Kit is contained in a practical, handbag friendly pouch with a zip to keep everything secure and in the one place. This can also be used to store individual pieces of your jewellery when travelling! 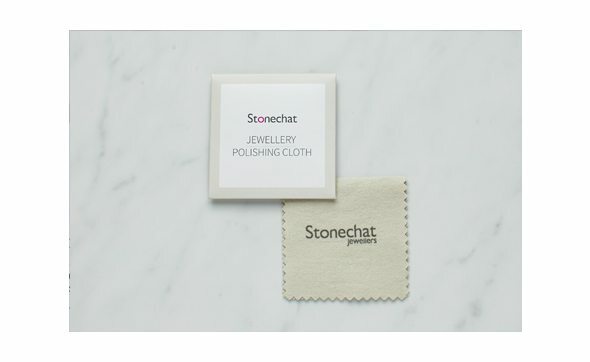 Polishing cloths are for use on highly polished pieces of jewellery. All you need to do is gently rub your jewellery with the cloth to bring it back to being as shiny as it was on day one. It's amazing the difference it makes! 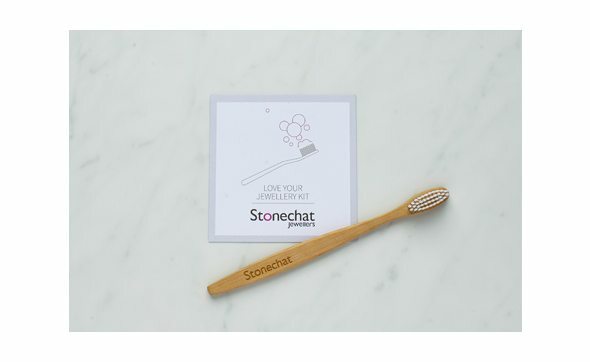 You may be wondering what the toothbrush is for! Believe it or not, a soft toothbrush, used with warm water and washing up liquid, is ideal for cleaning your diamonds and gemstones. Give your jewellery a good scrub - make sure you get into the underside of your piece of jewellery as much as possible. 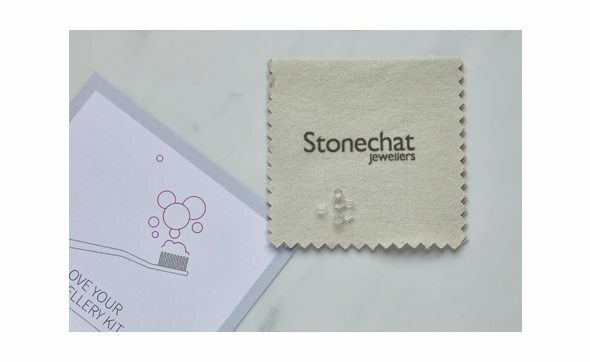 Don’t worry about damaging anything – silver, gold, diamonds and gemstones are all hard enough to resist (and benefit from) regular cleaning with a toothbrush. Pieces of jewellery with a matte finish can polish up with wear, especially in the case of rings. It is very easy for you to re-matte a piece using this very fine emery paper. Gently refinish the surface of the piece, rubbing it with the emery paper. Make sure you always work in the same direction. Don’t scrub your jewellery with it, unless you want a very scratchy finish – it’s not a Brillo pad! Keeping your jewellery in its box and/or separate from other pieces of jewellery is key to the long and happy life of each individual piece. These small resealable plastic bags are ideal for storing pieces when they are not being worn. As silver oxidises when exposed to oxygen, it is particularly important to keep silver pieces in as airtight a container as possible. Have you ever lost a single earring? Leaving the smallest and fiddliest to last, these little rubber backs are for earrings that don’t necessarily need backs, but you may prefer to use them, reducing the risk an earring magically disappearing at some stage. In this small plastic bag you’ll find 3 sets of rubber backs – try not to drop them!. 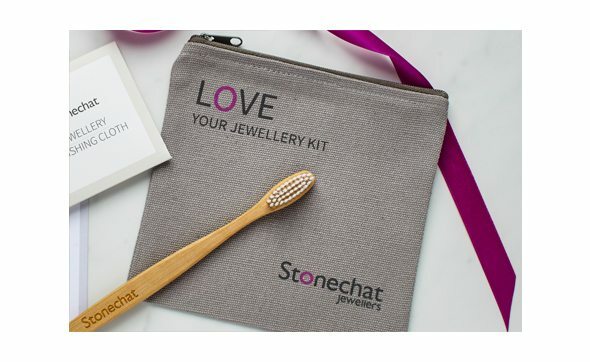 We hope you find all of these bits useful and enjoy using your LOVE YOUR JEWELLERY KIT to keep your jewellery looking as well as possible. For further general jewellery maintenance tips, click here. Should you have any questions, don’t hesitate in contacting us.